Ingrid Andsnes, sister of the world-renowned Leif Ove Andsnes, makes her solo CD debut with the most demanding work in the piano literature, Beethoven�s Diabelli Variations, music that has become synonymous with the struggle and transformation in her own life. The publisher and composer Anton Diabelli invited his fellow composers of 1819 Vienna to write a variation on his own little waltz. Beethoven turned the proposition down, only to reconsider and write not one variation, but thirty-three! 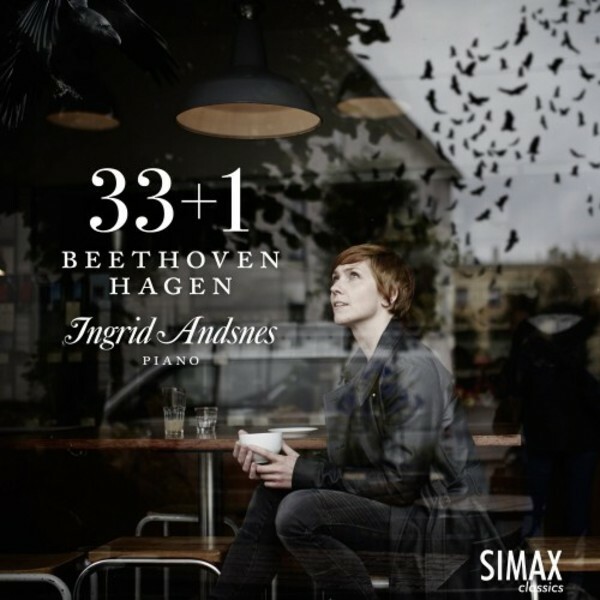 In 2015 Ingrid Andsnes invited composer and curator Lars Petter Hagen to add a cadenza to Beethoven�s set of variations. Employing EBows on the strings of the piano to haunting effect, this cadenza replaces the short Poco Adagio before variation 33 in the present recording. Ingrid Andsnes (born in 1978) is a highly accomplished pianist and one of Norway�s most endearingly passionate musicians. She studied with Joan Havill at London�s Guildhall School of Music and Drama and, like her brother Leif Ove, with Jiri Hlinka at Barratt Due Institute of Music in Oslo. She has collaborated with the finest of Norway�s musicians, among them Solveig Kringelborn, Arve Tellefsen, H�vard Gimse and The Norwegian Soloist Choir. In 2013 she played Beethoven�s monumental Diabelli Variations in the play �33 Variations� by Mois�s Kaufman, staged at Det Norske Teateret in Oslo.